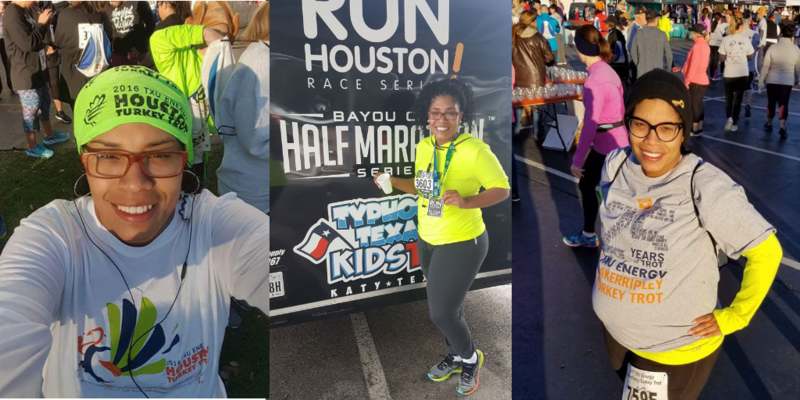 “The Houston Turkey Trot is the reason I started running." 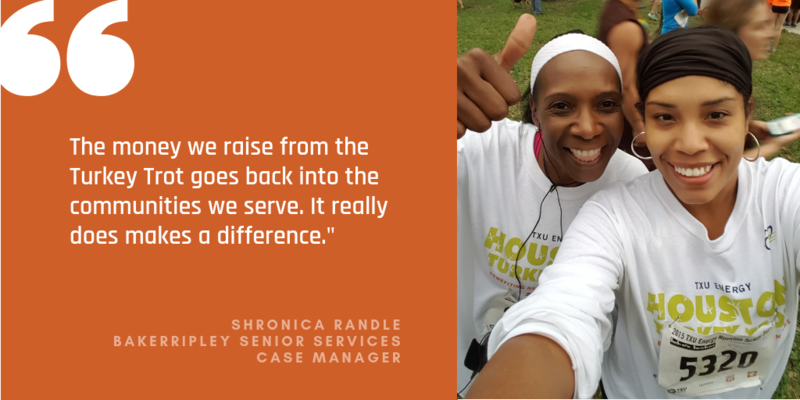 Shronica Randle always envisioned running a 5k. It was part of her visioning board for years. Then one day, she finally decided to go for it. Shronica and her mom started training six months before the Trot. That Thanksgiving, they both finished their first 5k after completing the Turkey Trot. She was so proud of their accomplishment that she wanted to keep going. She found a local running group called Black Girls Run and signed up for her local neighborhood group. Since then, she has run multiple 5ks, the Houston Run Series and three years of Turkey Trot. “I just had a baby so I’m starting all over with the training process. 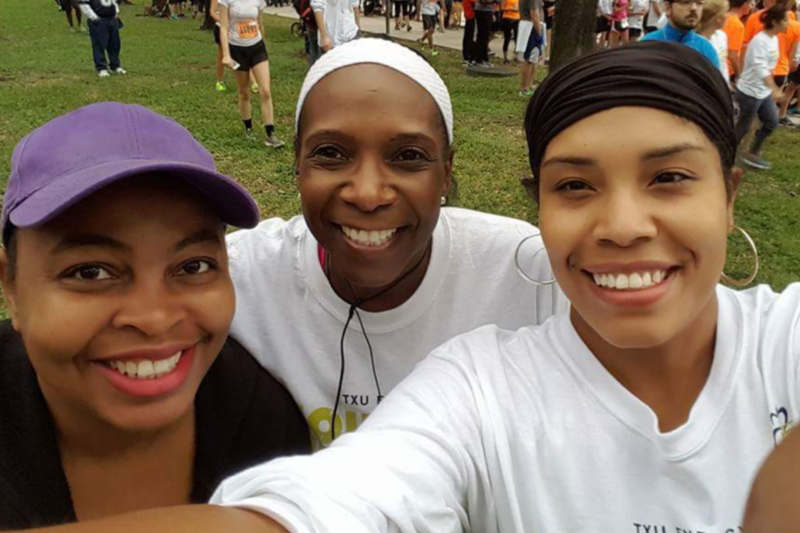 But I’m doing this year’s Turkey Trot and I’ve signed up for a 15k in March,” Shronica said. She’s convinced friends and family to join her on her running journey, and says of all the races she runs, she knows the impact of this race first hand. Shronica handles the BakerRipley Senior Services intake line that helps connect seniors and caregivers to our services. The way BakerRipley works every day – relying on the belief that everyone deserves an opportunity to earn, learn and belong – is evident even at the Turkey Trot. “We have a group of seniors that are there every Thursday morning, bright and early, ready to serve and do whatever they can,” Shronica said. “It makes them feel like they’re not just older people stuck in a senior center – they have something to contribute as well. Shronica’s advice to new runners and walkers? Since Shronica participates on race day, she chooses to volunteer at packet pick-up. She recalls stories of families coming out year after year as tradition.